Motivating abstraction, thinking in tedious detail! The instructions above only draw one brick and leave a gap in preparation for the next one. Wouldn't be wonderful to be able to think in terms of "rows of bricks"? Now our brick wall consists of 8 rows of bricks, with alternating rows A and B (we can choose which we want to start with but my example above begins with a row B at the bottom). To be afforded the luxury of thinking in terms like "row of bricks", we need to extend the language that we're using: We need to define "draw a brick" once and use it in the rest of our program. Here is what this definition looks like in Snap! Now we can define draw_row_A which simply draws six bricks with a space (movement while pen is up) between them. 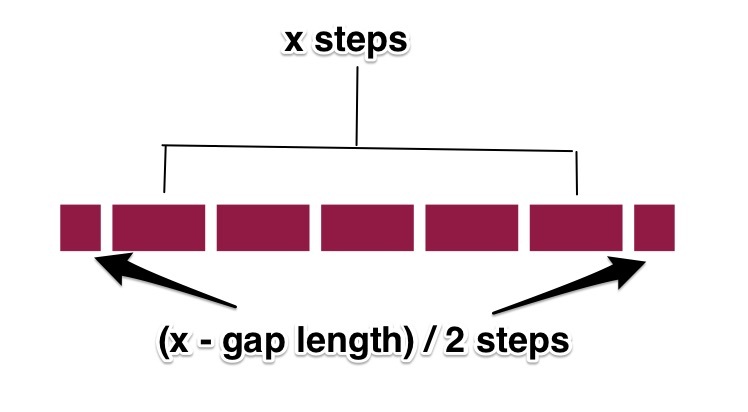 Similarly, we can create a block that draws row B, taking into account that it has one extra gap. 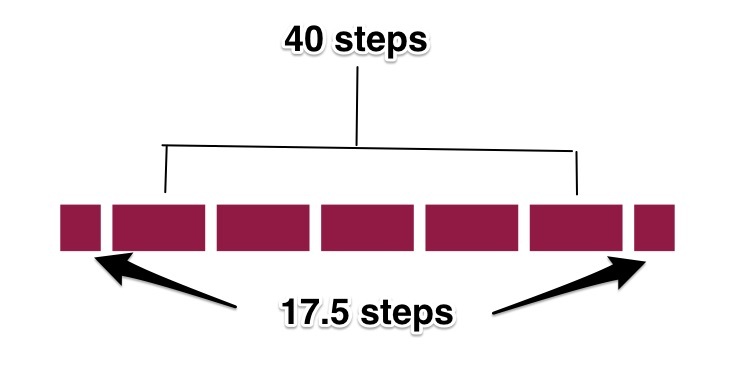 The "half bricks" are actually 17.5 steps long rather than 20, as might be expected at first. The solution above, which I admittedly didn't describe in detail, is good for building a brick wall with 8 layers, a specific size for bricks and gaps. 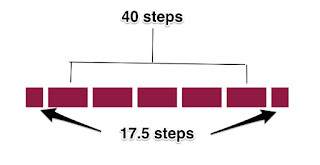 The last task should be to build a solution that can draw bricks of any length with gaps of a given size. This allows us to solve the same problem for a larger set of requirements, which is another meaning of the word abstraction. 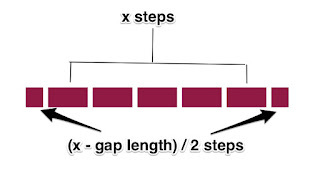 We now need to realise that the small bricks have as length half the length of a brick less half the length of a gap!